So this week I’ve made it to 37 weeks! My specialist still wants me to deliver at 38 weeks and my OB is not flying with that, he wants 40 so I just wish the baby would get out, the fighting over when she gets here stresses me out. Meanwhile I am an anxious person anyways. Trying to work out bills, doctors visits, cleaning… you know, for an anxiety ridden person its all stressful in itself. but… I have been most concerned with others’ burdens. I have been told plenty of times that I have my own life to take care of but I cannot leave people to be miserable though if I love them. Its just in my tender heart to get them out of their mess. Especially when your family is so huge and you feel this way way to often- it’s sad. I am thankful that I have a husband who’s heart is full of love, kindness, and help. He would do anything for anyone and I have found that out in the last year. I dont know how I could have ever missed seeing that in him (not that I have but glad that I have recognized it more and thanked him for it). Maybe he spoiled me too much because I think everyone’s relationship should be our way and I get upset when someone has anything less. You know when you love someone sooooo sooo much that it literally hurts. It really really hurts when you love them that much and their quality of life is that of a caged dog- with a monster owner who is two faced with multiple personalities, who decides when they get to eat, when they get toiletries, when they are allowed out, when they can talk to their family (on monitored conversations), the verbal bullying, the constant putting down of you, the bare bare essentials are barely provided, the precious self worth/esteem and emotional health you had being stomped on…. no one should live like that. I want to tell you- If you have a monster in your house like that, no matter how much they sweet talk, no matter how 2 faced they are, no matter how far they have gotten by by lying about the way they treat you- THEY WILL BE FOUND OUT BY MAN AND GOD. You reap what you sow. When the ones that love this person are up ALL night wondering if this person is going to make it through the night, that monster will reap what they sow. When a loved one is crying because of the lost relationship they are experiencing because someone else has been convinced that their life will go no where without this monster, that monster will reap what they sow. People know who you are. I cant wait till you’re finally confronted one day. Nothing you do is going to fix it because by nature of habit you will continually do what you do,family won’t forgive you for ruining their lives and emotional state of fear. Unless God changes both of our hearts you will never be anything more than what you have proven yourself to me as. to keep the one you love, make them stay. because he knows how to manipulate. tomorrow He will be saying things that would make my heart burn- for a fact. It’s scary how one animal, one day, can kill everything you had designed. Christmas is exactly one week away and all I want is a healthy family with a healthy baby and for all of those people out there who are being lied to, to find the truth. That’s it. Christmas is about Jesus. We usually do a tree and all but it just did not happen this year. There are more important things than a tree and presents this year. Ready to meet Brea and try to forget about crazy people in this world. Be strong, be courageous, take a step out of the ordinary and take a chance on scary life without someone who has made all your plans for you. It is not my duty to bring them to justice if no one wants to do it, so instead I’ll let it happen the just way- they can reap what they sow. On a happy note- I will see my precious baby in anywhere from 1-3 weeks and all I want to do is fill her precious head with positive affirmations of our love for her, nothing will stop me from making good things happen for her. Her dad is beyond excited and every day he gets a little more anxious. Things have been going very well (besides school, we’ll see how I’m doing after Monday when my first quiz is over). 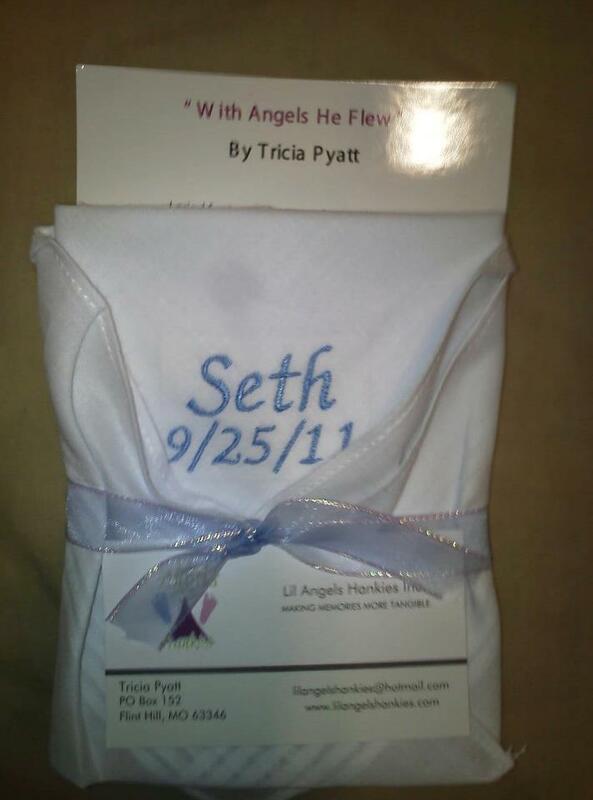 I wanted to share with you guys this ministry that makes tangible hankies for mothers who have lost their babies. Their name is Lil Angels Hankies Inc. and it costs about $2 to make and package a hankie for someone. She dosnt require the mother to pay anything but every little donation from anyone is accepted of course. anyways, Im just excited to have mine and thought I would share. 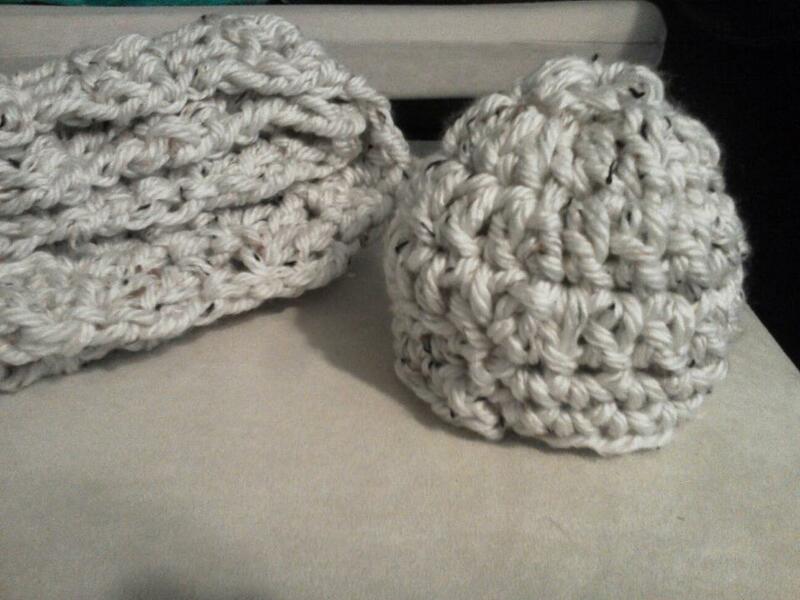 I have been addicted to crocheting lately. Its crazy, its all I think about and I cant sleep- that is pretty sad lol. I am super addicted to bulky/ chunky yarn too! 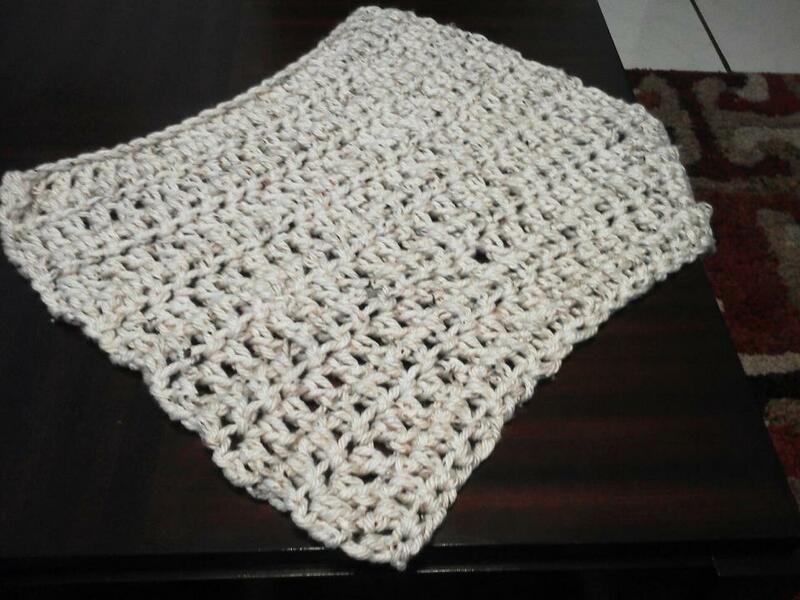 its amazing, you can knock out a project (that would take you a month in regular yarn) in about 30 minutes! its amazing!!! Its just a little more expensive though. 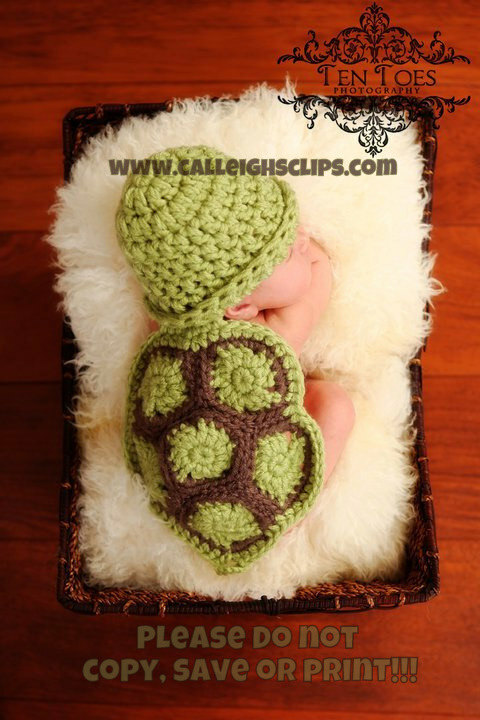 So Im probably going to make chunky yarn blankets for the hospital stillbirth boxes because Ive been taking too long and I need to get those out soon. 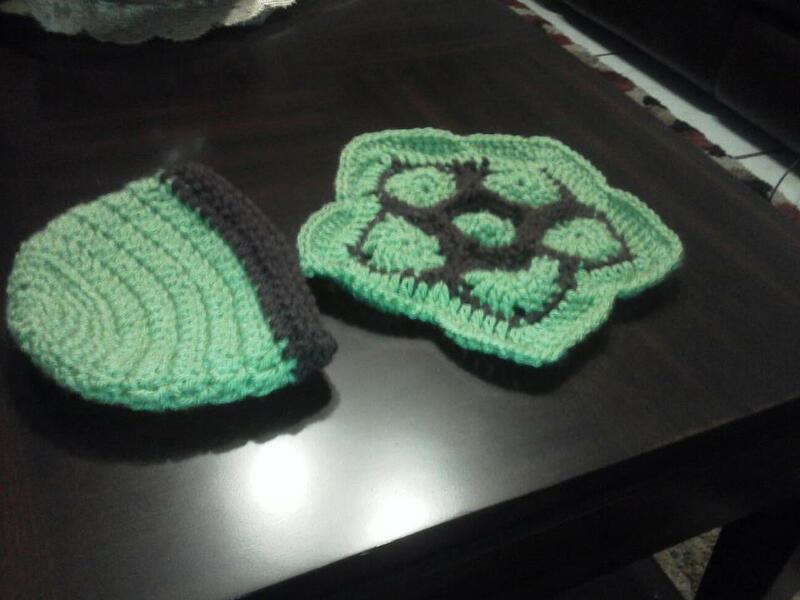 Heres my latest projects I did today and last night. > and yes that is where I bought the pattern from, I just made it a little different cause I didn’t want it to look exactly the same. I went to school yesterday for my last prep class before physics starts, the students were really encouraging and I cant wait to start the sonography program. It is going to be a lot of work but this is what I want. A girl told a story about her last clinical. 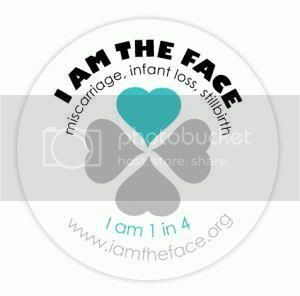 She got called to the OB floor (at the hospital that I work at) and a lady who was 39 weeks pregnant lost her baby and she had to do the scan to confirm it. She said it was the hardest thing she has seen. I almost teared up as she talked about it. That is why I want to do this. I want to comfort those women, empower them with love and hope and a future. I need to be apart of this, that is why I changed my major, this IS my calling. I need to do this. I need extra strength though and I pray every day that God will help me get through these classes and clinicals with a clear and open mind, mental strength, and guidance for a kind heart.